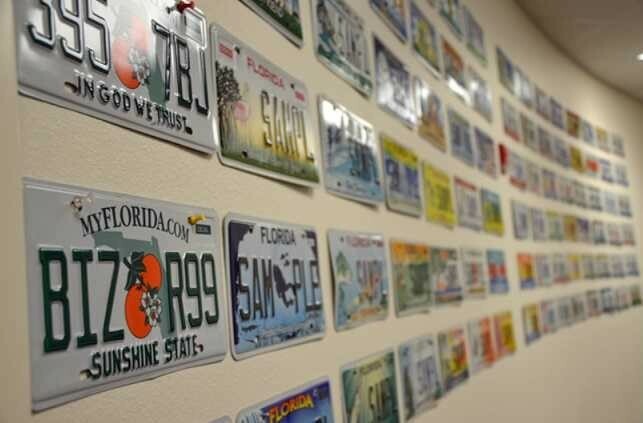 You’ve probably been to a car repair shop where license plates from all over the country are used as decorations. They could be hanging from reception walls or the garage rafters. 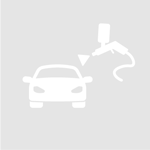 We at Richardson Collision Center have seen them, too. We’ve also noticed how unique each license plates are. That’s because each state has its own design, and people can pay to get the license plate lettering of their choice (unless someone else has it). It’s actually because of their uniqueness that some old license plates are considered valuable by a small group of avid collectors. Who knows? Maybe one day, your TX license plate will be of value, too. With more than 3,000 members in 50 states and 19 countries, the American License Plate Collectors Association (ALPCA) has been around since 1954. The organization is dedicated to the promotion of license plate collecting and research, the exchange of information and plates, and the fraternal benefits of sharing a common interest with others throughout the world, according to their website. Becoming a license plate collector is an easy hobby to get into, because most plates will cost you around $10 each. Many people start off by getting one license plate from every state and then they start looking for specialty plates to build their collection. If you have a few old license plates lying around, check them out, because they could be worth a carload of cash! Most collectors will agree that the 1921 Alaska license plate is the "holy grail" of license plates, because there are only maybe 100 in existence. If you can find one of those, it’s worth $60,000. Other highly prized license plates include the 1912 Mississippi plate and the 1911 porcelain Mississippi plate. Some early Newfoundland, Canada plates are possibly rarer than all of these and if you find one from 1921 to 1923, you can probably retire on it! When it comes to international license plates, the top three most rare ones are from North Korea (an extremely isolated government), Vatican City (a tightly controlled inventory of license plates on very few vehicles), and a standard low number issue from the Cocos (Keeling) Islands (a tiny island with a handful of vehicles). 1901: First license plate is issued, in New York. 1903: Massachusetts creates uniform, enamel-on-iron license plates. Late 1910s: Metal plates supersede other materials such as leather, ceramic, canvas, and wood. 1920: Massachusetts produces its own license plates at Charlestown State Prison. 1931: Pennsylvania pioneers the vanity plate. 1933: South Carolina adopts an early plate slogan: the Iodine Products State. 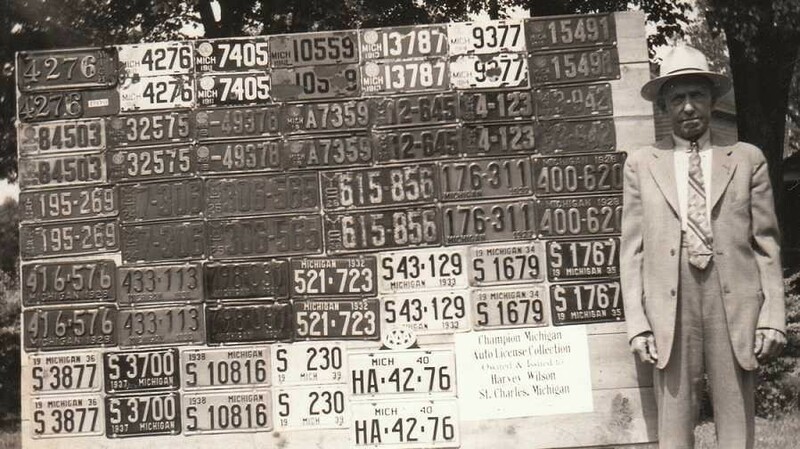 1948: Idaho plates have potato decals applied by hand and varnished. 1956: License plates are standardized nationwide to six by twelve inches. 1957: Massachusetts issues its first handicapped license plates for those who have lost the use of a limb and, oddly, the legally blind. 1963: California reissues yearly license plates for the last time. 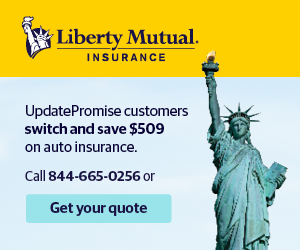 Now, the original lasts for the vehicle’s lifetime. 1987: Florida observes the Challenger space-shuttle tragedy with special license plates. Mid-1990s: Led by New York, Colorado, and Iowa, the move away from embossed plates is on, and digitally printed plates become common. So, the next time you’re going through your attic or garage, pull out that box of old license plates and who knows? You may find gold.